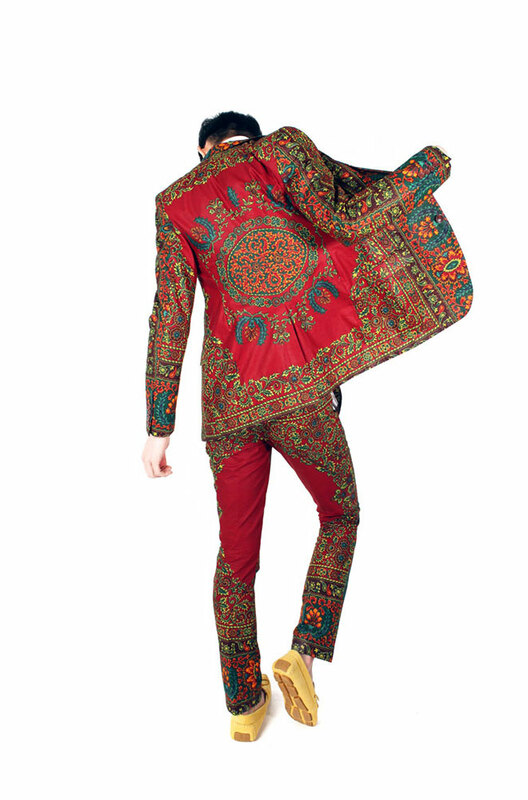 …eye popping print suits! i’ve often felt sorry for men for being stuck with the same old boring plaids in navy, gray, black, etc. and for any one who dares to step outside of the box, to be labeled as less of a man. 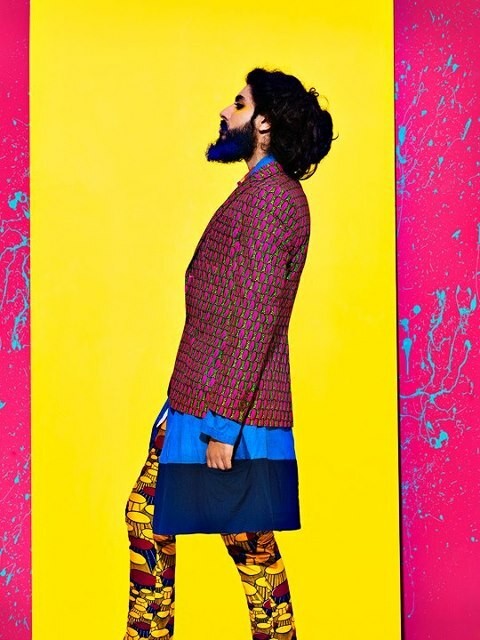 i’d say millions of men in india and africa can’t be wrong and manage quite well to mix their masculinity with brilliant florals and colorful prints. could it be that westernized men are finally picking up on what men of traditionally brilliant cultures already know? perhaps not, but for an intrepid few, the new dent de man label will take you there in class and style! perhaps it’s no mistake that it’s models of color that are featured on the dent de man site. the suits are are made from rare, vintage african prints which lend themselves to unique, flattering suits for men with true confidence. 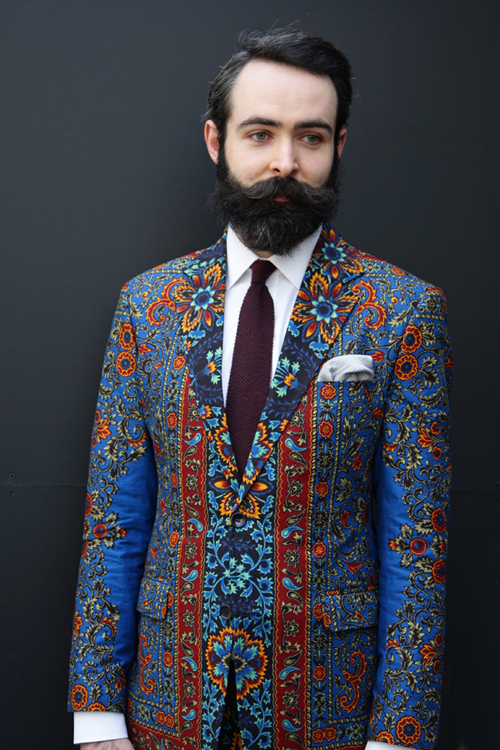 elegantly cut, beautifully vibrant, only a man of conviction can own this suit! they may be for men but i’m wondering if i can get an extra small for myself!…. 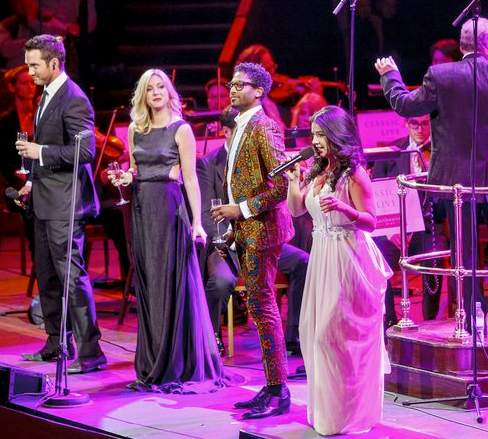 dapper and swellegant, the handsome peter brathwaite at the royal albert hall.